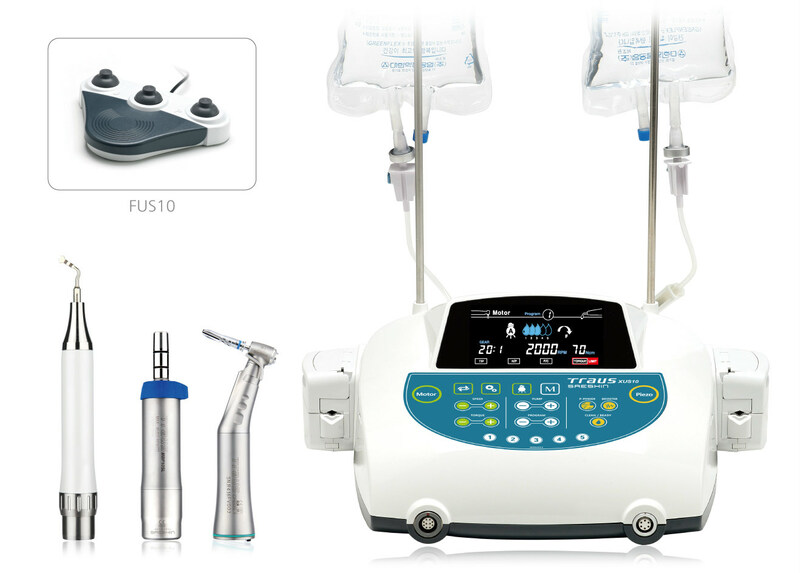 The Traus SUS10 is a Ultrasonic Piezo Surgical unit and Scaler and a Dental Implant Surgical Unit in one. 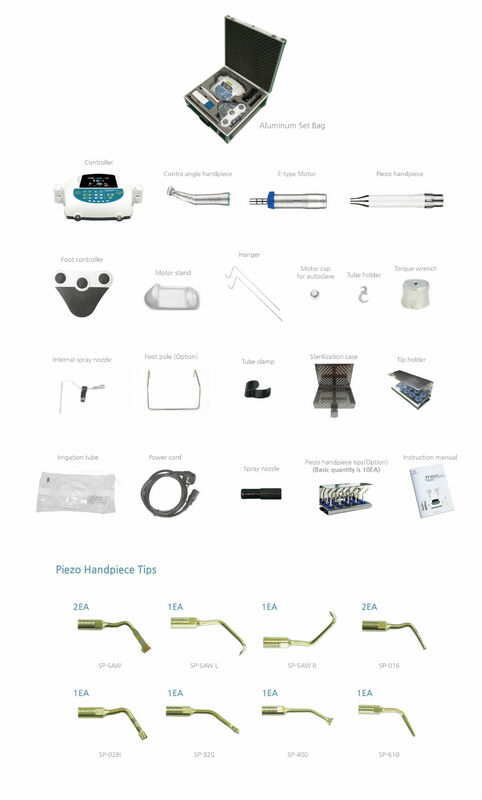 The Traus SUS10 Is a Ultrasonic Piezo Surgical Unit designed for Osteo plastic Amputation, Including Dental Implant Surgery. TRAUS XUS10OP facilitates the surgeon’s work: thanks to innovative ultrasound technology, only bone substance is resected with high precision. The surrounding soft tissue remains uninjured. Own piezo technology enables optimized performance with powerful output • Bone heating is avoided or minimized by injecting saline water at Max. 90ml/min speed. TRAUS XUS10OP make various operation easy including Crestal approach, Sinus lift Ridge expansion, Bone harvesting, Bone craft, window open, and many others. Multifunctional and ergonomic foot swich design • You can easily operate handpiece and saline water supply with the foot switch. Increasing the efficiency of the dental operatory with multitasking equipment is always beneficial. Technology that can be utilized in diverse clinical areas increases efficiency and productivity. The Traus SUS10 unit combines ultrasonic and rotary technologies specifically applied to dental implantology and piezo surgery. The ultrasonic handpiece is noninvasive on soft tissue and active only on hard tissue, increasing safety and patient comfort during surgery. The optimized implant motor offers powerful and smooth zero to 70 Ncm torque for the drilling and insertion of dental implant fixtures combined with a 25,000lux LED in the handpiece for great visibility. The precise control of the powerful motor, in addition to the micro controller of the rpm (15 to 2,000), allows for enhanced surface treatment. The SUS10 is an ultrasonic bone cutting and drilling combo system, driven by piezoelectric and micromotor technology, designed for osteotomy and osteoplasty. 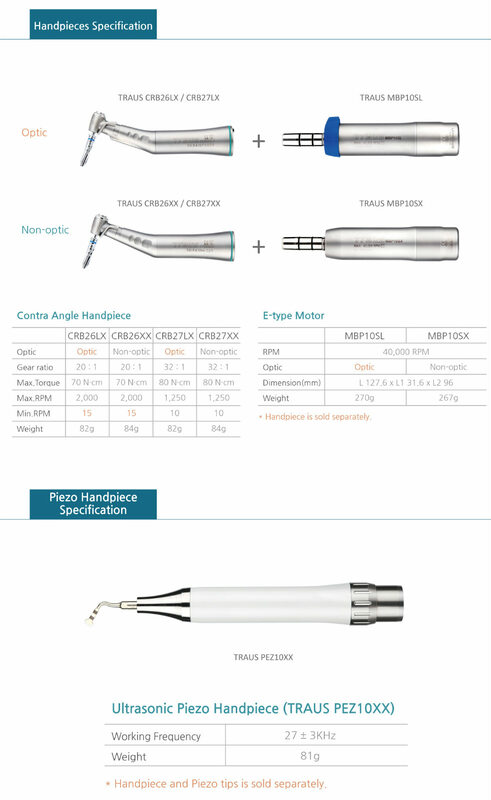 It is highly indicated for implantology, periodontology, orthodontic surgery, and endodontics. 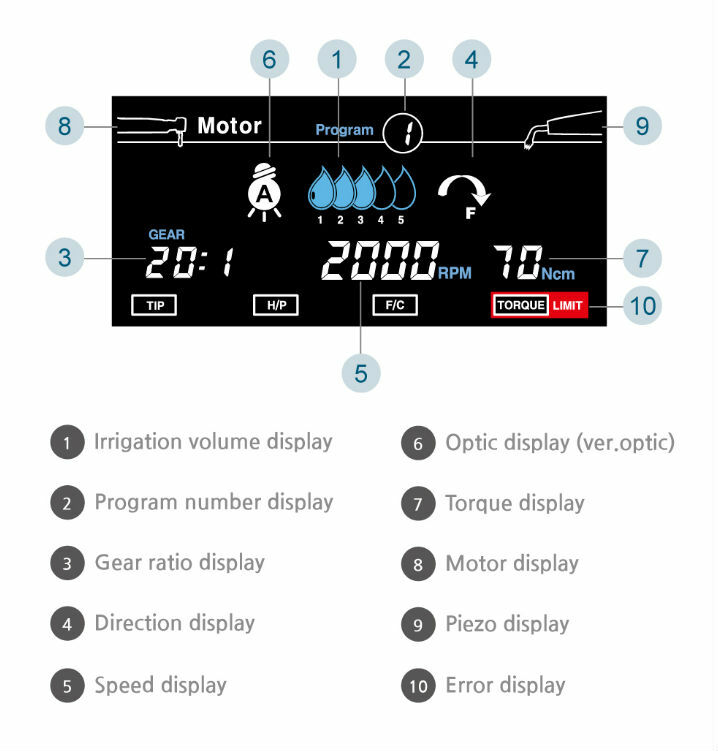 The large and clear LCD screen provides a simple and intuitive user interface. The SUS10 is sleek and modern looking, an excellent addition to the leading-edge implant practice. The packaging is inpressive—a great transportation suitcase with excellent organization for all the necessary components. The assembly process is straightforward, with the written instructions supplemented by a memory stick video. User instructions are comprehensive with a Quick Manual for easy operation from day one. The foot control is actually a multifunctional pedal that manages rpm, torque, program, irrigation, and rotation direction control; an optional “foot bar” is available. The SUS10 combo unit is the single unit that does all the implant work in the operatory effectively.